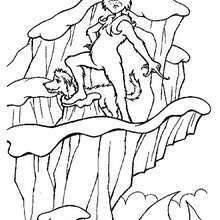 This classic Dr. Seuss book tells a story about a grouchy creature who lives on the side of a mountain above the town of Whoville. 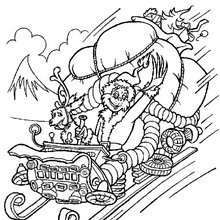 The Grinch, who does not like Christmas, attempts to put an end to Whovilles Christmas by stealing all their presents and decorations. 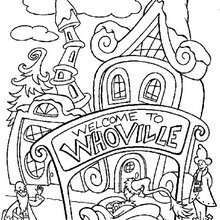 However, the people of Whoville still gather together to celebrate despite his efforts. 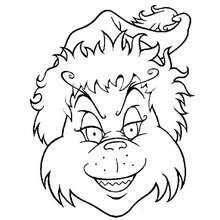 The Grinch returns everything he stole and Whoville makes the Grinch the guest of honor. 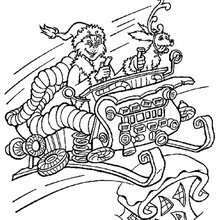 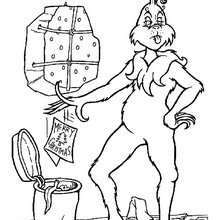 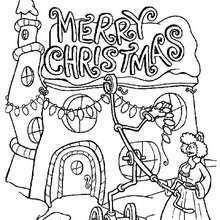 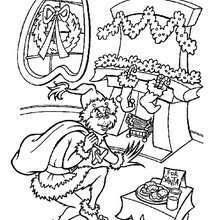 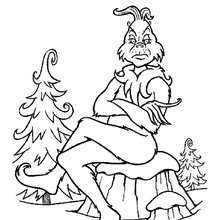 This The Grinch's Head coloring page is a fun picture to color for Christmas. 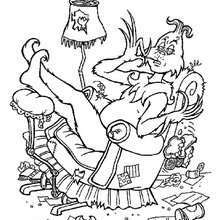 Decorate your choice of the Grinch coloring pages online with the interactive coloring machine or print to color at home.